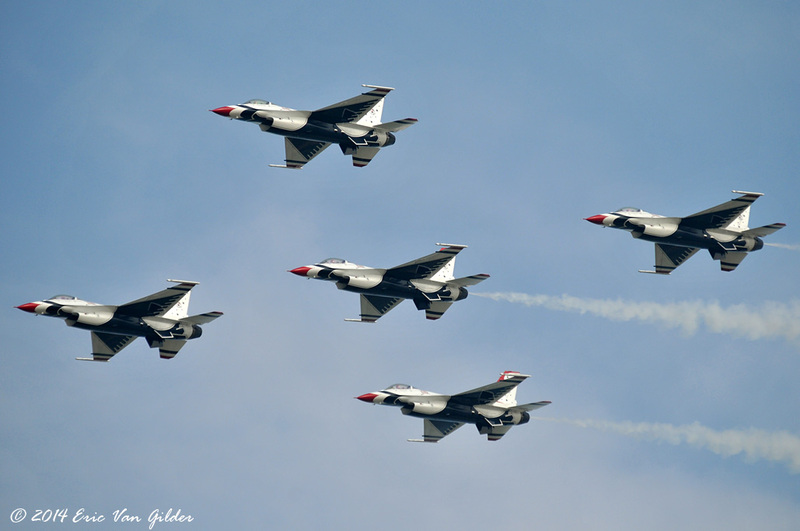 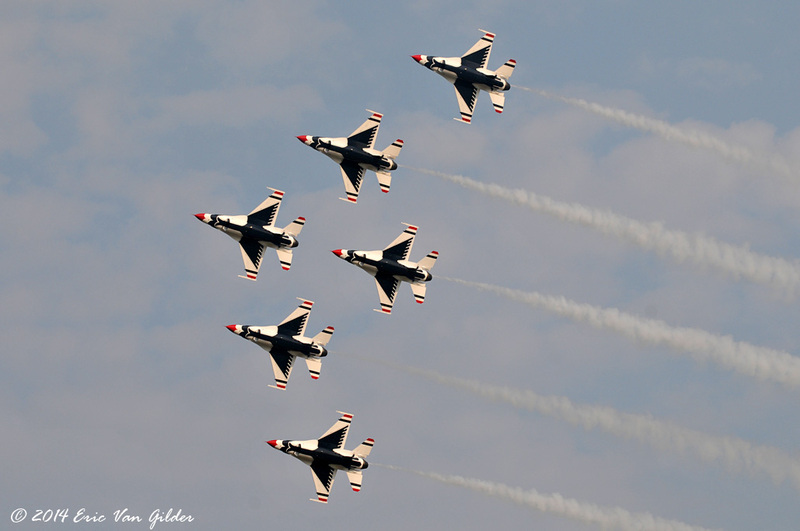 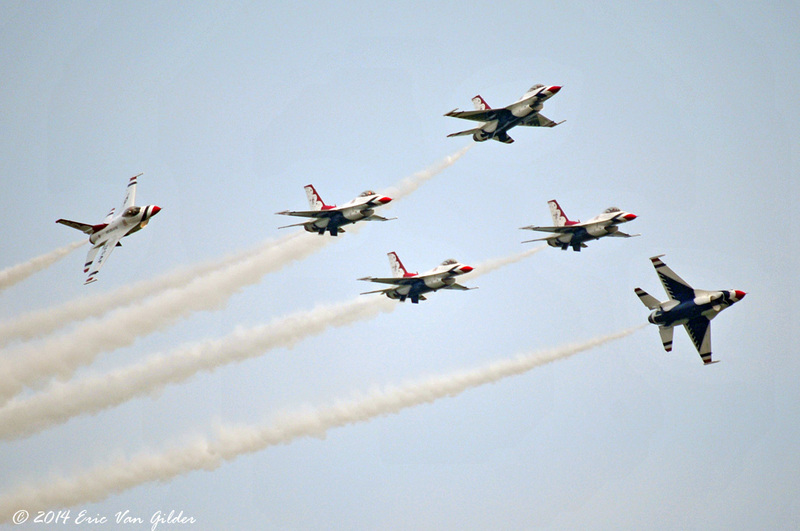 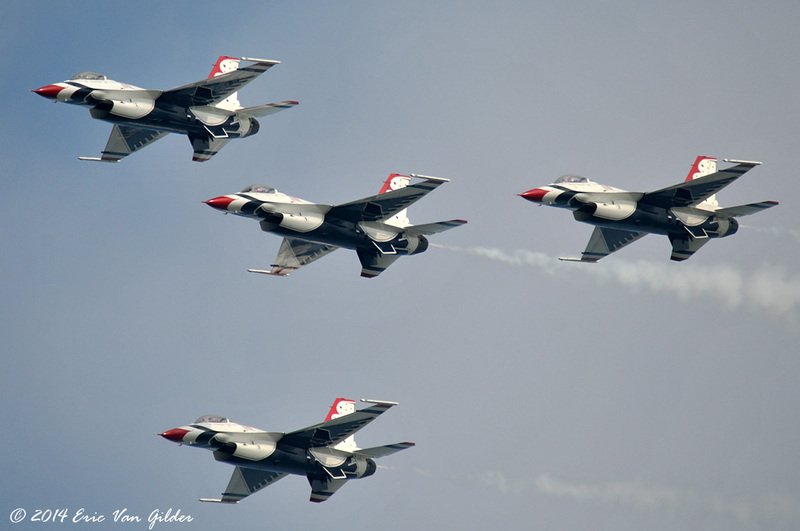 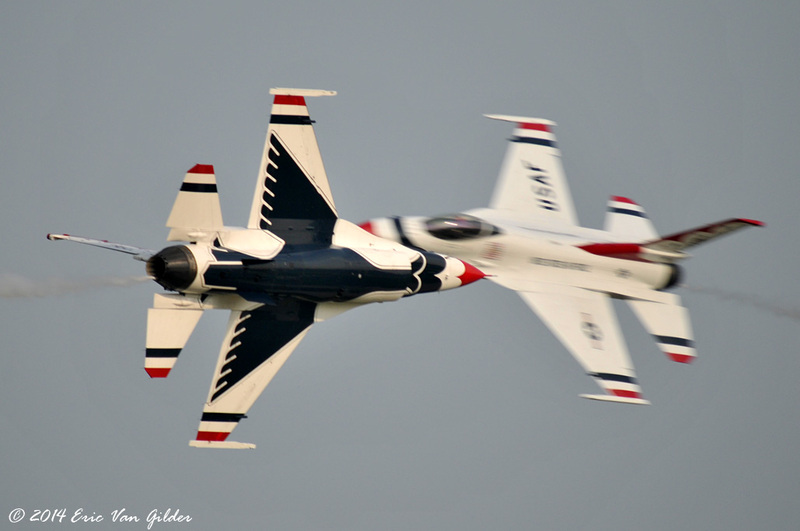 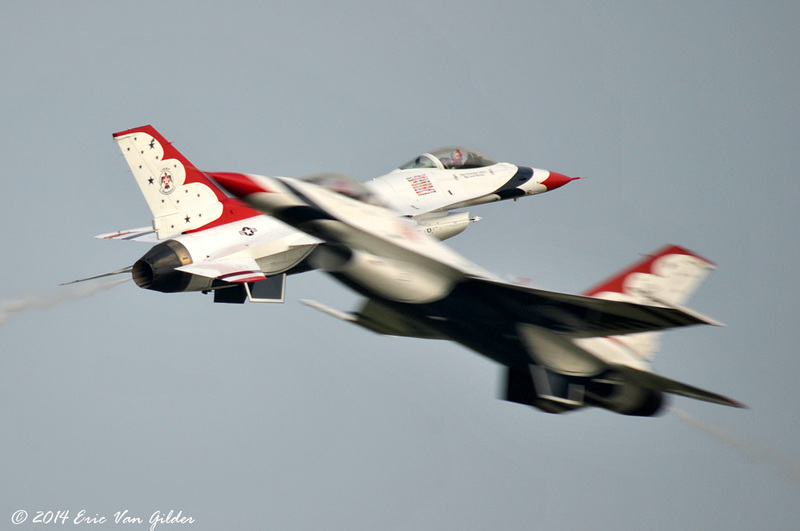 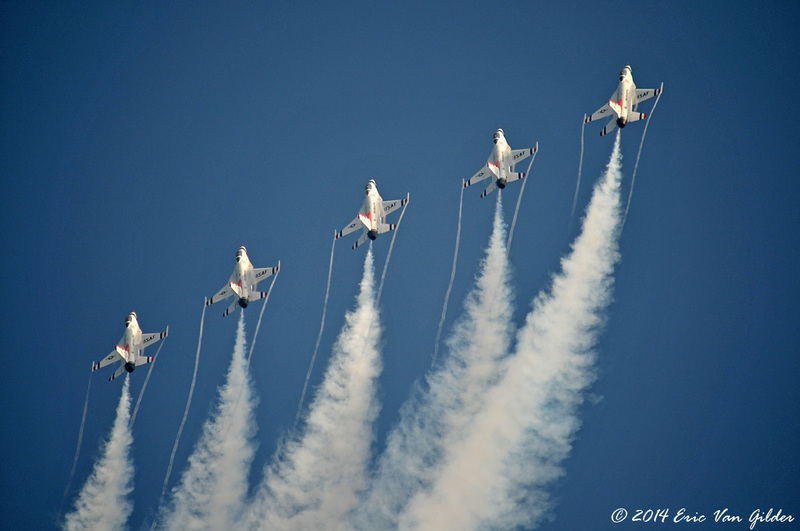 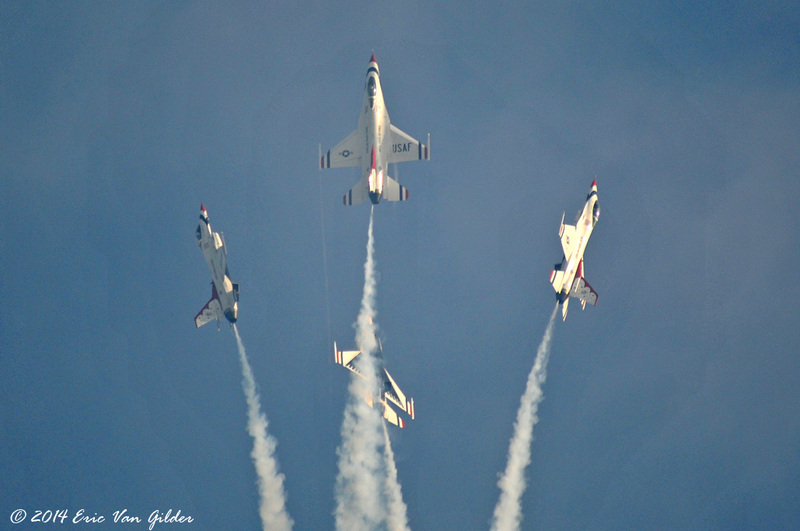 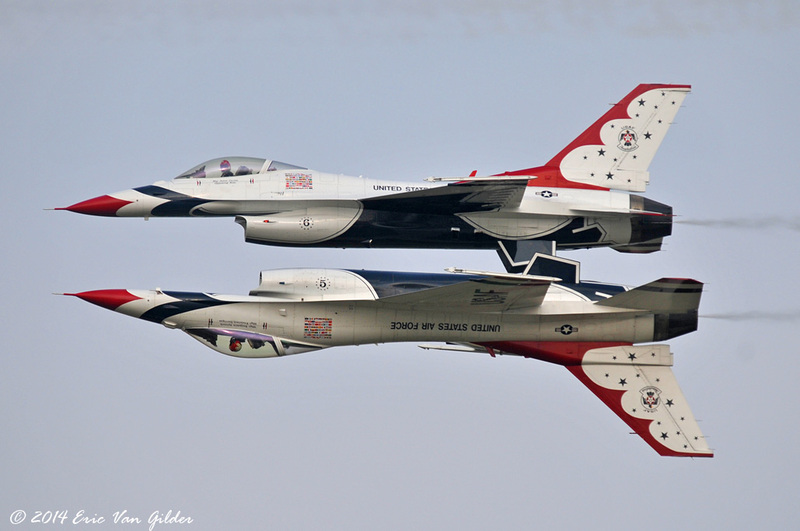 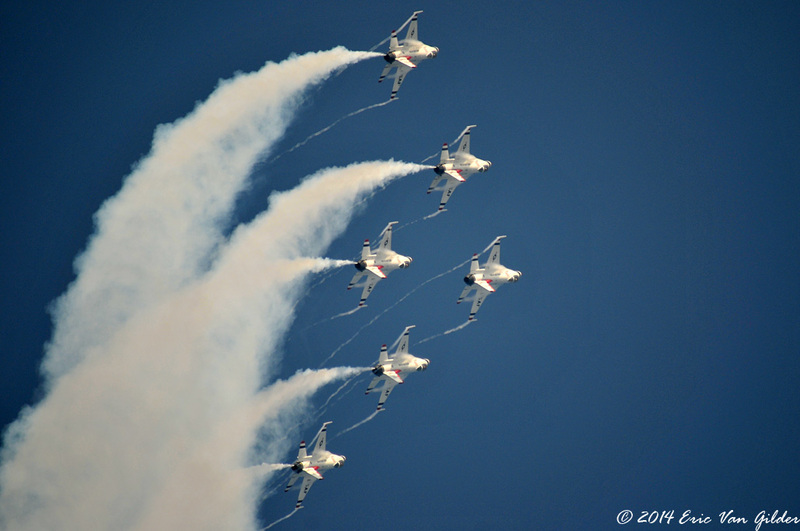 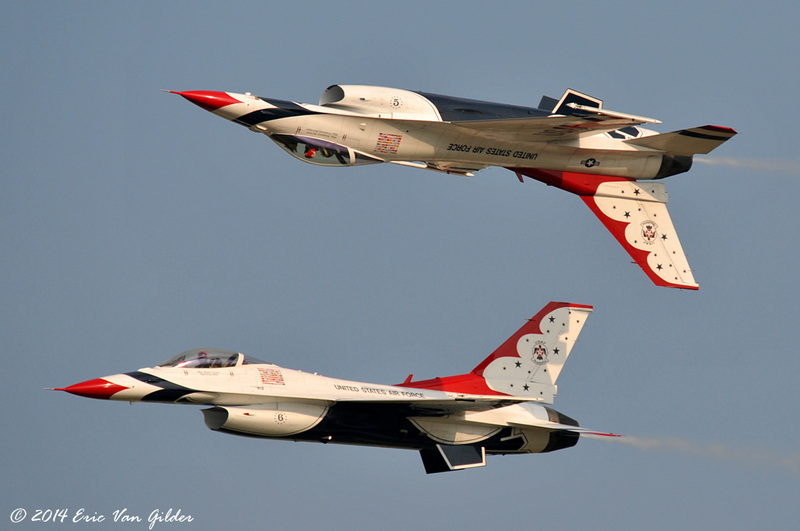 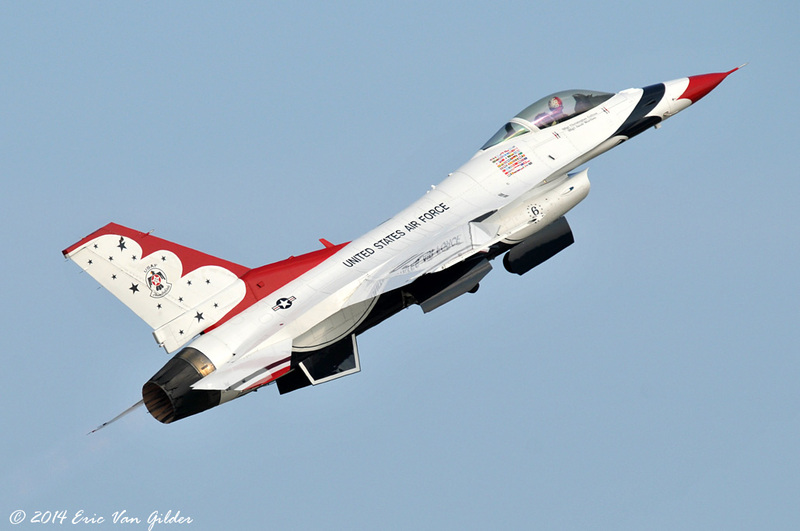 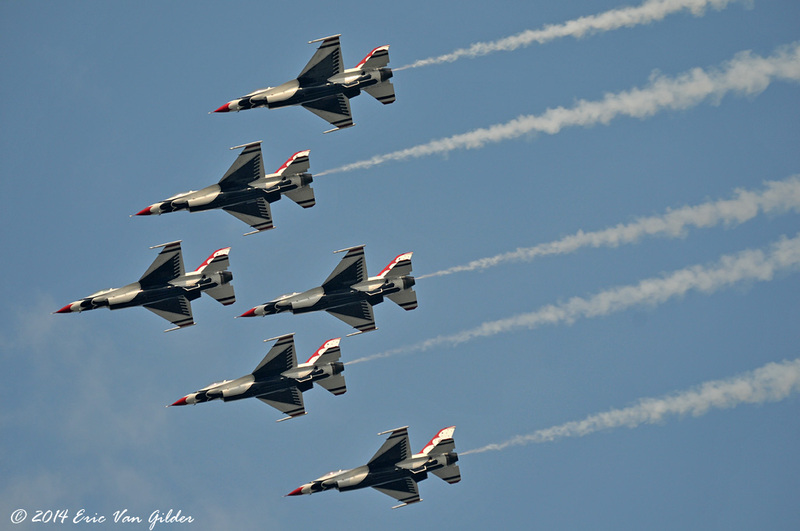 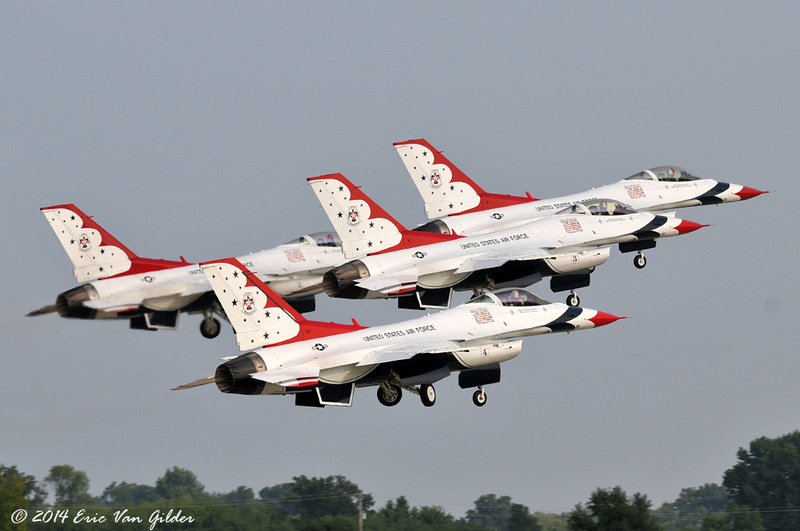 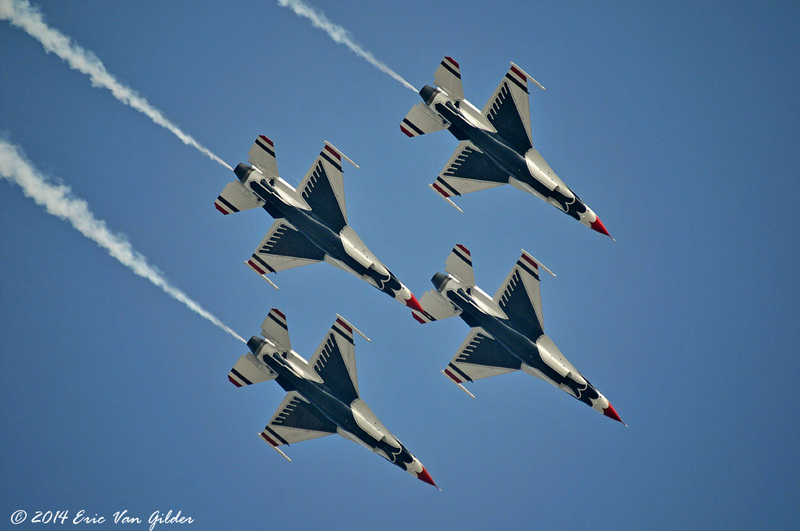 The Thunderbirds are the official demonstration team of the US Air Force. 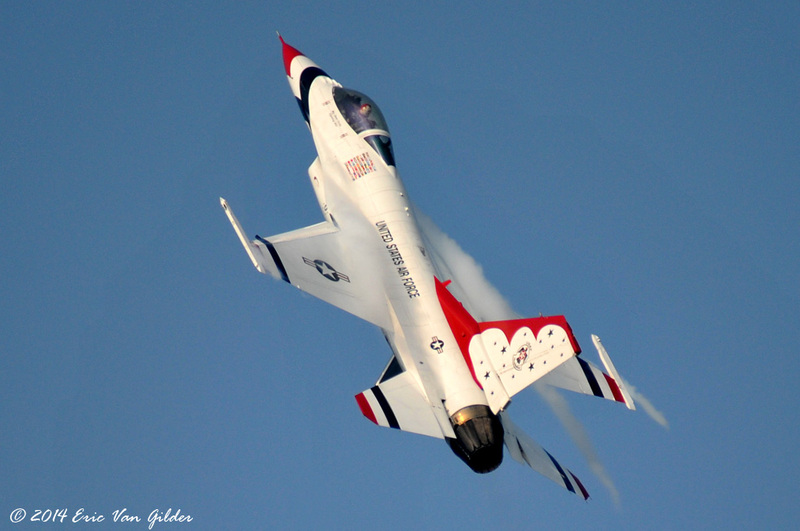 They fly the F-16 Falcon through aerobatics and various combat maneuvers. 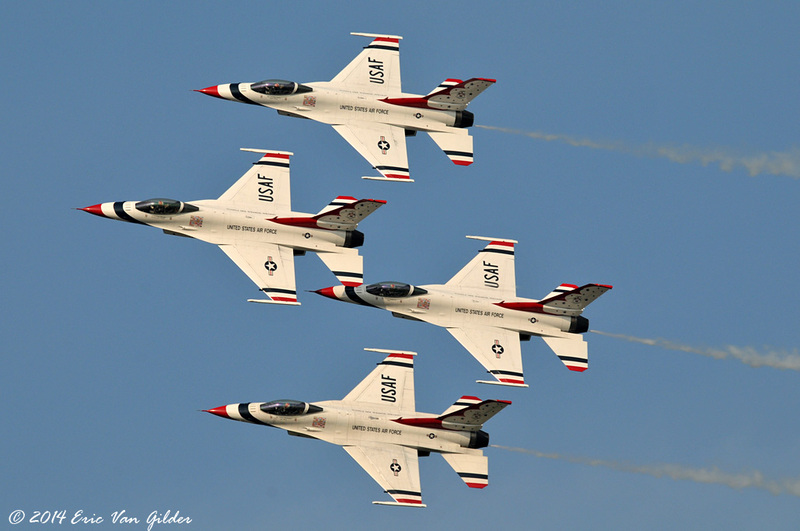 This was the first military demonstration team to perform at Oshkosh since the 1970s.